If you’ve decided to launch a new eCommerce store with WooCommerce then your major concern would be how lucrative it is to choose WooCommerce as a stepping stone for your online store. Right? I am sure by the end of this post, you will be sure about What is WooCommerce and your choice too. WooCommerce is a WordPress plugin. But wait! I think before jumping on to WooCommerce a brief about WordPress is a great idea. WordPress is an immensely popular, open-source website building solution. According to W3Techs , it powers 33.4% of all websites on the internet. Initially, WordPress was built to share content only. But with the advancement of technology, it has turned into the best platform to establish eCommerce sites as well. That’s where WooCommerce comes in. WooCommerce is a free WordPress plugin that adds eCommerce functionality to a WordPress website. Having an online store is a massive endeavor which calls for management and functionality through a reliable source. And no other platform than WooComerce can serve you better – including beginners. 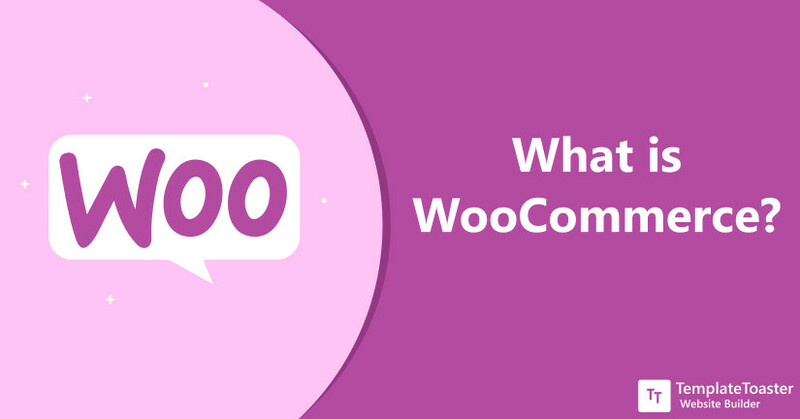 “What is WooCommerce?” a common question that most of the people have in their minds. WooCommerce was launched in the year 2011 at WooThemes by Mark Forrester, Magnus Jepson, and Adii Pienaar, and it was later acquired by Automattic- the parent company of WordPress. Trio at WooThemes hired JigoShop developers Mike Jolley and Jay Koster to develop WooCommerce. Since then it has gained huge popularity and become one of the most widely used eCommerce platforms. And it is continually growing since then. The beauty of WooCommerce is that it seamlessly integrates with WordPress. However, there are numerous other eCommerce platforms for small to large business but having the best is what everyone looks for. WooCommerce’s features and extensions let you scale your store easily and efficiently. WooCommerce was designed keeping WordPress theme compatibility in mind and with the recent release of WordPress 5.0, you get a new block-based Gutenberg editor and a brand new default theme Twenty Nineteen. However, you can easily have a WooCommerce and Gutenberg editor compatibility check for your website. WooCommerec has made owning an online store way easier. Because usually, you had to take care of a number of things for making your website a success. But, WooCommerce streamlines the entire eCommerce website development process and give you straightforward results. Let’s take a closer look at this fruitful tool and learn what is WooCommerce has to offer you. As I mentioned above WooCommerce is a WordPress plugin that turns your simple WordPress website into a full-fledged eCommerce shop. You can install WooCommerce in a snap. And once it is installed, it’s easy to configure several things from a single interface. Managing things like stock, images, taxes, shipping charges, delivery, return and much more. Also, features like geolocation, different payment options, cart management make it even more captivating. It lets you sell anything from digital goods to physical products. And it gets really simple to create an eCommerce website with WordPress, WooCommerce and TempalteToaster . I assume you will agree with me once you try it. WooCommerce gives you complete control over your data and limitless potential to scale your site. No matter if you’re a seasoned professional or a newbie, WooCommerce has a lot to offer. Moreover, being an open source platform it gives you the freedom to use all the resources to the fullest. Since WooCommerce is an open source platform, developers can effortlessly find the source code from the online repository. If you have some better code which you want to suggest to other users you can include that in as well. You know what is WooCommerce is having in abundance? It’s the WooCommerce’s flexibility and extensibility that makes it a real lucrative eCommerce solution. The WooCommerce integration with any WordPress website is much easier and the out of the box features let your site up and running relatively quickly. Many developers have added the tutorials and videos regarding many issues (which they might have faced during their site development) in the community forums. And consider checking them for any information that you’re seeking. Developers and other users who are using WooCommerce can use and add their code in the online repository and help others. WooCommerce has tons of robust features. It is scalable, mobile-friendly, and highly versatile in nature. And other various out of the box features are as follows. Sell any kind of product such as digital and physical. It has a mobile-optimized structure. Add an unlimited number of images and products. Gives you full inventory control. Choose a shipping and Tax calculation method and restrict your customers based on their geographical location. Use payment options like PayPal, Stripe, Cash on delivery, Credit card, Cheque, Bank transfer etc. Flexibility to manage customers and orders with the one-click refund, guest check out, customer accounts. Include categories, tags, and attributes for easy search. Easy store location customization based on currency, language, and geographical location. Integrate check out on any desirable page. These are just a few listed features of WooCommerce. However, you can use a whole lot of ways to extend its features to a much greater level. WooCommerce has a huge repository of supporting add-ons and themes. If you want to learn how to create custom WooCommerce theme to ease your thing you can use TemplateToaster WooCommerce Theme Builder and build your beautiful online shop without writing any code. Here you will see a list of the best WooCommerce plugins . WooCommerce works well with almost every WordPress theme. You can customize these themes to give a desirable appearance to your storefront. And once you have selected a theme, you are free to add desired features using plugins. Generally, plugins are free to use but trying paid plugins can also benefit you in the long run. You will also see hundreds of paid premium plugins that can easily enhance your store beyond your imagination. I am sure now the question “What is WooCommerce?” will not scare you anymore. And if you are having a WordPress website and you want to turn it into an online store to sell goods and services then there’s no better option than WooCommerce. WooCommerce makes it easy for beginners and professionals to have a completely working eCommerce shop. From the design point of view, if you like some other website’s theme and you want to have the same design on your site, you can easily check what WordPress theme is that . However, you can also use website builder to build a fully functional WooCommerce website in no time.